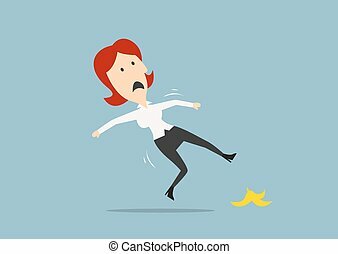 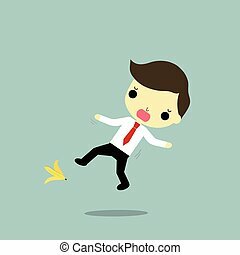 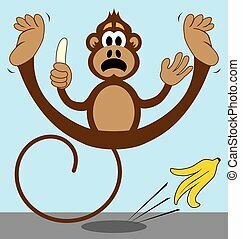 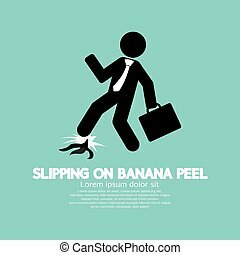 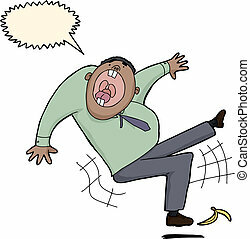 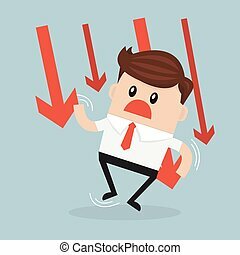 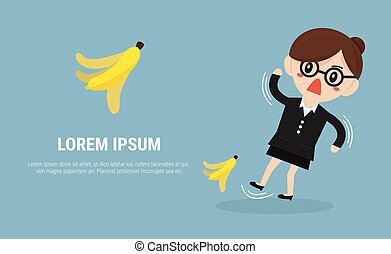 Businessman slipping and falling from a banana peel. 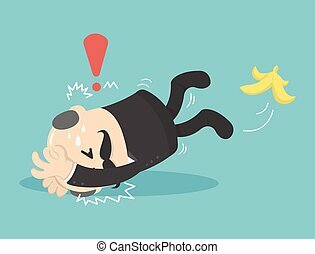 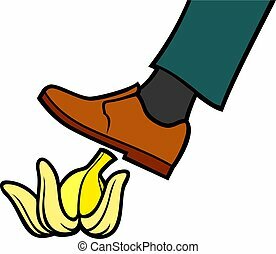 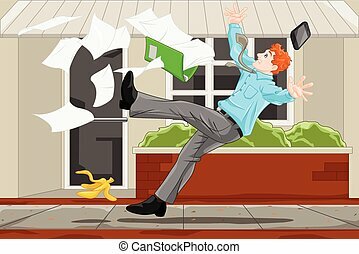 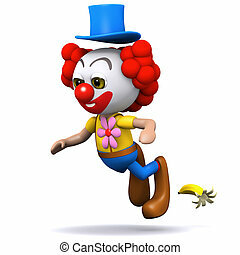 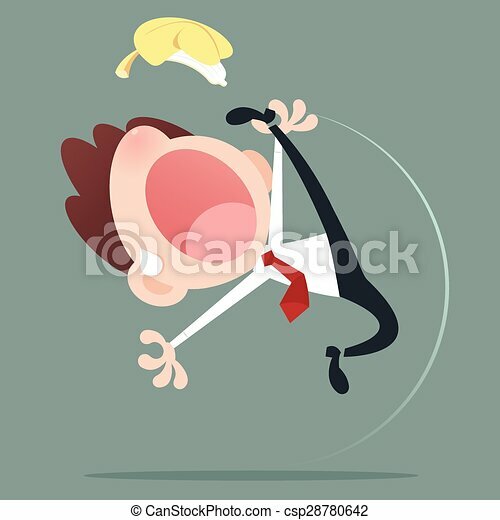 businessman will fall because banana on blue background. 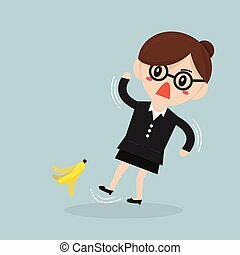 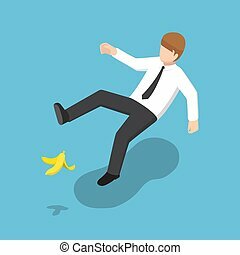 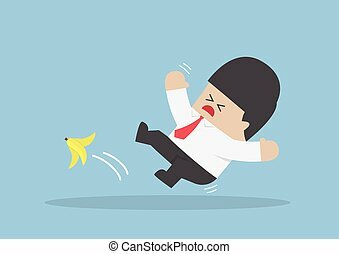 Flat 3d isometric businessman slipped on a banana peel. 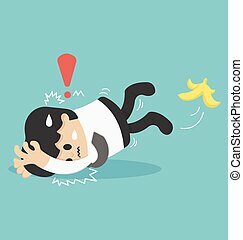 Business accident concept.